With Moses Luster’s third studio album release the band has focused on honing their sound while exploring some new diversions. 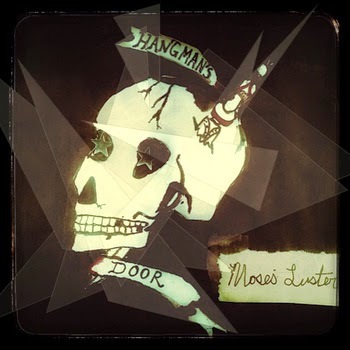 Moses Luster stays true to their first and second release however with explorations of traditional instruments mixed with electronic sound and Moses Luster’s gravely, wind beaten voice. In “The Night” the band examine the moody romanticism of synths and banjo, while “The Dirt” is a sober and haunting exploration of coming to terms with death, while “Hangman’s Door” find’s Moses accepting his fate while facing down bigger troubles. While the album is consistent with their previous releases, Moses Luster has been exploring their country side with the tracks” Until I’m Saved” (which was featured on the season finale of Discovery’s “Bering Sea Gold”) and the rolling, road-weary song “Sorrowtown”. While the album continues along the path of previous releases of exploring the drudgery of everyday lives of drunks, losers, and broken hearts, the band continues to try and explore new territory with upbeat tracks, most notably “Come Along With Us” and “I Got You”. mixed while poking at their heroes and where the world is headed in “Sold Out”, written after being floored by witnessing Bob Dylan selling cars during last year’s Super Bowl.